We use the most natural and least-harmful ways to reduce pests and their effect on our parks. Our IPM strategy [PDF] focuses on controlling or preventing pest problems with the smallest possible impact on human health, the environment and other organisms. On February 20, 2019, a MPRB Integrated Pest Management Policy and Pesticide Application Background presentation was presented to the Operations & Environment Committee. View and listen to Assistant Superintendent of Environmental Stewardship Jeremy Barrick make the presentation to commissioners. The presentation begins at the 02:46:00 mark. Is the technique cost effective? Can the technique be used with current management methods? Are there any risks? If so, are the risks acceptable? Are environmental impacts minimized? For example, does this effect water quality? Are health risks to employees and others minimized? Prevention begins with minimizing conditions that attract pests or diseases. Activities involve caring for plants and landscapes through site and cultivar selection and by eliminating habitats for pests, weeding, watering, and managing nutrients for healthy desirable plants. Prevention and cultural control are very closely related. Cultural control uses management activities that prevent weeds and pests from developing due to enhancement of desired conditions. Plant selection and design play a significant role in pest and disease control by planting the right plant in the right place. Careful selection of plant species that show resistance to pests and thrive in their planted location helps reduce problems and the need to use pesticides. Naturalized areas such as mesic prairie, savanna and meadow that use appropriate native plants and grasses require less mowing than managed turf areas. Many noxious weeds can be controlled by mowing the weeds and surrounding areas one to two times per year. This can prevent the maturation and spread of these harmful, unwanted plants and remain in compliance with the Minnesota Noxious Weed Law. Mowing natural areas one to two times per year also prevents unplanned trees from taking root and growing to a size that might negatively impact park visitors’ experiences or compromise the area’s environmental diversity. Aquatic invasive species, such as zebra mussels, are also of concern. To prevent the spread into and from Minneapolis lakes, boaters are asked to inspect their watercraft, drain water and clean visible aquatic species before launching and transporting watercraft. Mechanical controls include hand pulling, prescribed burning, mowing, grazing with animals, and other non-chemical methods to manage both terrestrial and aquatic invasive species. In forested areas MPRB staff, volunteers and youth workers hand pull invasive species to control their seeding. Volunteer garlic mustard pulls are done in the spring and buckthorn pulls in the fall. Prescribed burning is a method to maintain prairie vegetation including prairie plants planted into storm water ponds and other native landscape plantings. Prescribed burns are implemented by staff or contractors that are trained and certified by Minnesota Department of Natural Resources. However, weather, air quality alerts, staff and equipment availability, permits from multiple agencies, and traffic control needs are all determining factors in implementing a prescribed burn in an urban area. These limitations frequently prevent prescribed burns from being used consistently. Cutting or mowing several times during the growing season can help control invasive species by removing the plant’s ability to produce seeds. Cutting or mowing is not always possible in steep or unstable terrain. 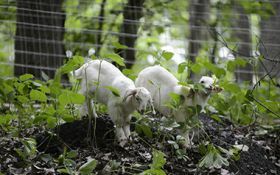 In 2017, two areas were selected to test the use of goats as a management tool for invasive species control. Grazing with animals produces the same results as mowing: the plants will grow back. Timing of mowing and grazing and repeated efforts can help to reduce the amount of seed undesirable plants or invasive species produce. The results of this pilot project are now being evaluated. 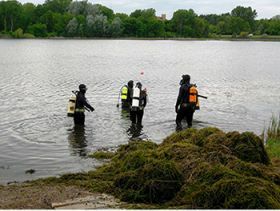 Eurasian water milfoil is a non-native aquatic invasive species that has been an ongoing concern in several Minneapolis lakes. From an ecological standpoint, it out-competes native species and changes the habitat for fish and other organisms. To protect the recreational nature of the lakes, we use a “harvester” to remove the dense floating mats that interfere with boating and swimming. Biological controls use the natural enemies of insects, mites, weeds and plant diseases to help control pests. Park Board staff uses two types of weevils to battle spotted knapweed on the Cedar Lake Trail. Seedhead eating weevils help control spotted knapweed by eating developing seeds and feeding on the foliage. Root eating weevils mine into the plant’s roots causing the plant to weaken and die. Purple Loosestrife is a major invasive species problem in many wetland areas. To combat this infestation, leaf feeding beetles were released into several sites throughout the park system in the early 1990s. Three parasitoid wasp species have been released in Minnesota to help slow the loss of ash trees from this devastating insect. Two species attack the larval stage of EAB under the ash bark. The other species kills EAB eggs that are in bark crevices. These non-stinging wasps are small like gnats and do not harm humans. No pesticide applications are made within 100 feet of any play area or wading pool. There is no routine spraying or broadcast pesticide applications made across an entire park. If pesticides are necessary, they are used on a limited spot treatment basis and all treatments are posted with onsite signage. In 2016, the Board of Commissioners passed an action that eliminated all products with glyphosate as an active ingredient within neighborhood parks (excluding projects currently in process). 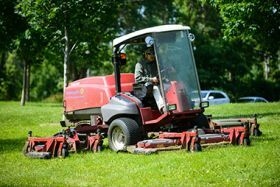 The primary control method for regional parks and parkways is mowing. There is no routine spraying or area-wide applications across an entire park. Herbicides are used on a limited basis to control invasive species or toxic plants like poison ivy and wild parsnip along trails and in park areas accessible to the public. All treatments are posted with onsite signage. Invasive and weedy species are controlled using a variety of methods including biological controls, prescribed burning and other mechanical controls. Herbicides are used sparingly selected based on proximity to water and effectiveness for control of the specific species. Mechanical and cultural practices are preferred before any chemical applications. These controls may include hand-weeding, mowing, soil selection, mulching, pruning, and including traps and barriers. Small gardens require only selective spraying to eliminate pests that are already present. Treatment may include laying turf immediately adjacent to beds when necessary to prevent spread into garden bed areas. The impacted area is closed off and signage is posted before and after application. Formal gardens are managed more actively and with lower thresholds for threats than other gardens because they are more vulnerable to disease and aggressive invasive species. Treatment sometimes requires more pesticides or use across an entire formal garden to eradicate a pest or disease threatening the area. All treatments are posted with onsite signage. MPRB’s athletic fields are managed to support the level of use and demands of the activities. Applications of herbicides and pesticides have decreased since 2008 and has moved from primarily liquid-based to solid-based chemicals. No products with glyphosate as an active ingredient are used on athletic fields located within neighborhood parks. Some specialty sports complexes are managed at a higher level than athletic fields in neighborhood parks: Fort Snelling, Parade, Northeast Athletic, Excel (NSP) Energy Fields, Bob Casey Field at Stewart Park, Bryn Mawr, Bossen, and Pearl Park. All treatments are posted with onsite signage. Our forestry department uses a pesticide-free operating model for tree care. However, residents or neighborhood groups may choose to treat public trees for certain diseases. If they choose to use a chemical treatment, they are required to follow a strict MPRB process, including enlisting the services of a Minneapolis licensed tree company that has been issued a permit to treat public trees. Metropolitan Mosquito Control District monitors and controls mosquito populations in the seven-county metro area including Minneapolis. More information is available on their website or by calling 651-645-9149. The MPRB is partnering with the University of Minnesota Bee Lab to evaluate plants for use in “Bee Lawns.” Eleven selected turf grass areas will feature flowering species favored by wild bees. 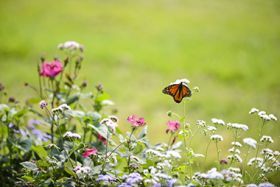 MPRB has several gardens certified as Monarch Waystations through Monarch Watch and is currently working to add other natural areas to the program. Monarch Waystations are places that provide resources necessary for monarchs to produce successive generations and sustain their migration. Without milkweeds throughout their spring and summer breeding areas in North America, monarchs would not be able to produce the successive generations that culminate in the migration each fall. Similarly, without nectar from flowers these fall migratory monarch butterflies would be unable to make their long journey to overwintering grounds in Mexico. The need for host plants for larvae and energy sources for adults applies to all monarch and butterfly populations around the world. This annual event, presented in partnership with the University of Minnesota Bee Lab, celebrates all things bees. The free event brings together bees, scientists, beekeepers, and provides an opportunity for people of all ages to celebrate the life and work of honey bees and native bees. The annual Monarch Festival celebrates the monarch butterfly’s amazing 2,300-mile migration from Minnesota to Mexico. 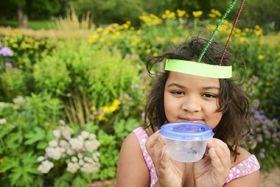 This bilingual, bicultural event utilizes art, music, dance, games, native plants, prairie tours, food, plus monarch tag and release, to raise awareness of the need to provide and protect monarch habitat. 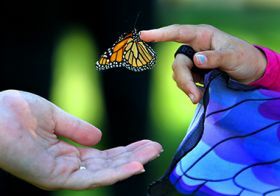 The Festival is presented in partnership with Nokomis East Neighborhood Association (NENA), the University of Minnesota Monarch Lab, and the US Forest Service International Program. Volunteers have worked alongside University of Minnesota Bee Lab staff members to catch, identify, record and release bees in Minneapolis parks for the last seven years. Bee Lab staff member Dr. Elaine Evans has been surveying wild bees for many years and in 2011 spotted the very rare rusty patched bumble bee at Lyndale Park Gardens in 2011. The MPRB owns and operates 13 golf course facilities, including seven golf courses, three driving ranges, two disc golf courses and one footgolf course. In general, a golf course’s aesthetic value is important but playability is the primary concern. To provide the highest quality of playing surfaces for our customers and to keep the golf courses competitive, profitable, and financially sustainable, we apply pesticides, fungicides, insecticides, herbicides as needed. The golf industry continues to evolve to a position that supports best practices as it relates to environmental fortification. MPRB golf is on the progressive edge as it relates to best practices within our operational maintenance standards and our golf course staff take great care to apply the lowest amounts possible to prevent fungal disease, insect infestation and weed encroachment on our playing surfaces. Five of our seven golf courses hold an Audubon International Certification: Columbia, Gross National, Meadowbrook, Theodore Wirth Championship, and Theodore Wirth Par 3. Certified Audubon Cooperative Sanctuary status encourages courses to protect and conserve natural resources and the character and integrity of the land. Certified courses demonstrate efforts to improve environmental quality in planning, public/member involvement, wildlife and habitat management, integrated pest management, water quality management and water conservation practices. How often do we spray? Fairways- every 21 days starting in June -August with a snow mold application at the end of the season.